Ventura Charter School has recruited a staff possessing a wealth of knowledge, experience and expertise in progressive, constructivist education. Our teachers are skilled at using project-based, structured cooperative learning strategies, integrated thematic units, multicultural education and conflict resolution. They enthusiastically collaborate to provide an academically challenging and enriching educational environment for our students. 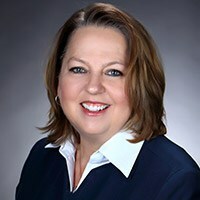 Mary Galvin holds a Master's Degree in Educational Administration from California State University, Northridge; an Administrative Credential and Multiple Subject Teaching Credential from California State University, Northridge; and a Bachelor of Science from the University of North Carolina at Greensboro. She taught for 17 years in the Los Angeles and Ventura Unified School Districts where she employed the principles, theory, and research of constructivist education in primary classrooms. Mary is an unfailing advocate for progressive, innovative, child-centered education. It is her goal to provide support for a rich experiential learning environment where inquiry, creativity, and compassion are valued, and to assist in maintaining an atmosphere that supports intellectual pursuit, skill mastery and academic success. Lisa began her teaching career over 18 years ago and quickly realized that she wanted to be working in alternative education. After a 10-year teaching position at Open Classroom in Ventura, she took some time off to stay at home with her baby girl, Kaitlyn, and returned to Ventura Charter School five years later. Lisa is passionately committed to helping children find the joy in learning, themselves, and their world. Drawing from her experience teaching K - 5th grades, as well as holding a Masters in Education and an Administrative Credential, Lisa's focus is on creating a safe place for educators, students and parents to reach their personal potential. Holly always knew she wanted to teach. She decided early on that she would help make the world a better place by working with children. Her 15 years of experience with children covers a broad spectrum. She has been a nanny, tutor, preschool teacher, teacher’s aide, and K-6 teacher at a special needs school in the San Fernando Valley. Holly attended George Mason and California State Universities. She received her Bachelor of Arts in Creative Writing with a concentration in Poetry, a Multiple Subject Teaching Credential, and a Master of Education. Holly is a firm believer in teaching to the whole child. She takes great care in creating a classroom that is supportive of academic, social, and emotional needs. Holly has a passion for all things creative and loves integrating arts into the core curriculum. She strives to nurture compassionate, critically-thinking students while building a classroom of love, laughter, and fun. In addition to teaching, she has a passion for sewing, playing guitar, and photography. She also leads a Girl Scout troop. 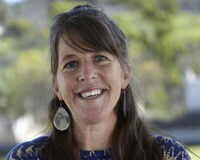 Laura began her teaching career in Santa Barbara at the Open Alternative School, where she taught K-2 for twelve years. 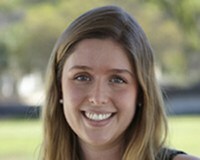 During her employment with the Santa Barbara Elementary School District, Laura served as a Mentor Teacher for the district where she provided workshops to teachers on enhancing Diversity and Multicultural Education into the classroom. She also served as Co-Head Teacher for three years at OAS. After moving to Ventura, Laura worked for five years at the Open Classroom Magnet Program. She is a firm believer in progressive education and in providing families with educational choices for their children. 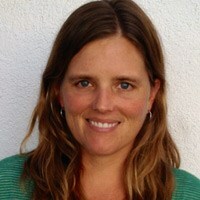 Laura is one of the founders of Ventura Charter School and currently teaches Kindergarten. In addition to her Multiple Subject Teaching Credential, Laura also possesses a Learning Handicapped Specialist Credential, an Administrative Credential in Educational Leadership, and a Masters in Educational Leadership. Liza realized she wanted to pursue teaching as a career as a senior in high school while tutoring a freshman in Algebra. Seeing the light bulb go off in her student's head was all she needed to switch her career goals from engineering to teaching. She obtained her teaching credential from Sam Houston State University in Texas with a major in elementary education and a minor in math. Her 25-plus years of teaching experience is in a wide array of areas including elementary and middle school as well as several years in the homeschool community. Liza discovered progressive education while searching for an alternative school for her oldest son and hasn't looked back since. She spent many years with her three children at Conejo Open Alternative School in Thousand Oaks in which she was heavily involved in the classrooms of all three of her children. She also served on the board of their parent organization. 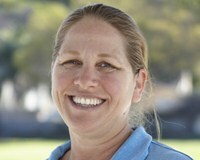 Jenny began her journey as an educator at the Santa Barbara Zoo, where she worked with camp groups and handled animals! She has a deep love for all living things. 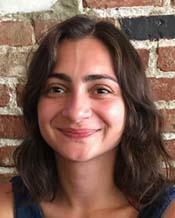 She is a recent graduate of the teacher education program at University of California, Santa Barbara where she earned a Master's degree in education. She places a strong emphasis on building meaningful relationships with her students, while promoting empathy and compassion. She loves to take her dog to the beach, relax with a book and bake vegan treats. Jenny is profoundly excited to be apart of the VCS community. Sophie knew early on in life that working with children was the way that she wanted to contribute to making the world a better place. This was confirmed when she found fulfillment in her first jobs, which included nannying, coaching youth soccer, and being a summer camp counselor. She went on to receive her B.S. in Biopsychology at University of California, Santa Barbara. After graduating, Sophie spent a year working as an aide in an elementary school before returning to UCSB to earn her teaching credential and Master’s of Education. Sophie brings to the classroom her love of being active and the outdoors, her commitment to developing meaningful relationships with her students, and her passion for creating joyful and experiential learning opportunities. She is excited to continue to do so as a part of the Ventura Charter School community! 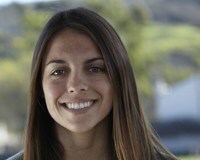 Allison grew up in Ventura and is glad to be back teaching in her hometown. She went to the University of California, Santa Barbara for her undergraduate studies and majored in Environmental Studies. After she graduated, Allison began teaching environmental education in local elementary schools. Standing among students who were singing and acting out the life cycle of a steelhead trout, she knew that she wanted to become a teacher. She gained experience as an Instructional Assistant and through working with children with special needs, and eventually went back to school and received her Multiple Subject Teaching Credential and Masters Degree in Education, also from UCSB. She brings to the classroom her desire to form meaningful connections with her students, while helping them realize their full potential and become well-rounded, successful students and members of the community. 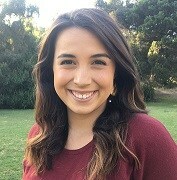 Emily Noel is a 2016 graduate from UCSB where she received her Credential and Masters in Elementary Education. Emily received her undergraduate degree in both English and Film and Media Studies from Lafayette College in Pennsylvania. Emily caught "the teaching bug" while at Lafayette where she was a member of the LIME Program (Lafayette Initiative for Malagasy Education), a team of students and professors who traveled to Madagascar to mentor and aid students in their applications to universities in the United States (and elsewhere). Emily felt it was one of the greatest experiences of her life. Emily started working for WISH Charter, a full inclusion school, in Los Angeles as a Paraprofessional and the head teacher for the before and after school program for grades 2-7. Within the first week of working at WISH Charter, she knew teaching was what she wanted to do as a career. Emily believes that every student is unique and beautiful in their own way and that she as a teacher needs to support each student while enhancing their critical thinking. Emily works to educate the whole student; socially, emotionally and academically. Emily likes to bring in movement, breathing and real-world application to her investigative and exploratory lessons. She is very excited to be joining the Ventura Charter Community. I'm thrilled to teach 3rd grade this year. For me, a meaningful education incorporates a community that practices kindness and connection, laughter, hands on projects, humor, real life experience, lots of time in the great outdoors, the company of Babou the therapy dog, outstanding teachers who love their job and are surrounded by support, trust and freedom and lots of heartfelt learning. I knew I wanted to teach as a child. I love being around kids of all ages. I grew up in San Diego, attended Santa Clara University in the Bay Area and earned my teaching credential at Cal State University Channel Islands. For ten years I was an Outdoor Educator and taught students in a variety of amazing outdoor environments all over the West ranging from our deserts, forests, mountains, the redwoods, streams, creeks, rivers and my favorite place, the ocean and Emerald Bay, Catalina. I joined the VCS staff in our starting year and have taught a variety of grades at VCS ranging from K, 1st/2nd, 7th/8th and I taught for a year in our homeschool. I'm happy to call Ventura home where I live and play with my husband James, our children Otto and Iris, and our dog Babou. Lastly, my real name is Kim. I got the nickname "Flow" while guiding students down the Colorado River in canoes. "Go with the Flow!" It just stuck ;). Jessica received her Multiple Subject Teaching Credential and Bachelor's Degree in Education with a Minor in Spanish from the University of Southern California (USC). She received a Master's for Educational Leadership at California Lutheran University (CLU) in 2008. She started her career in Oxnard teaching gifted and talented students (GATE) and was a member of their Leadership Committee. With her project-based and constructivist learning approach, she made the easy transition to Ventura Charter School of Arts and Global Education. Outside of teaching, Jessica enjoys traveling. She spent six months in Spain as well as one month in Costa Rica enhancing her Spanish skills. She developed a love for sports, playing competitive softball for 11 years and tennis throughout high school. Jessica brings her enthusiasm and experience into the classroom as she challenges her students to think critically to construct meaning from their environment. 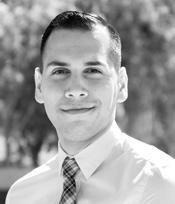 Hector began his journey in the classroom long before obtaining his multiple subject credential from California Lutheran University. His initial experience was at Ventura College as a supplemental instructional tutor where he assisted students in courses deemed “traditionally difficult.” During his time in this position he led tutoring sessions with a focus on collaboration, group study, and interaction. 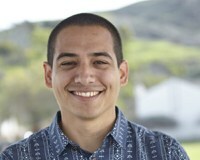 After transferring from Ventura College, Hector volunteered for the non-profit organization, School on Wheels, that provides academic tutoring to children in the local community identified as “homeless” in an effort to help them achieve educational success regardless of their circumstances. Hector eventually made his way to Ventura Charter School in 2014 where he worked as a paraprofessional in the Learning Center. During his time there, he worked with students from different age groups with various academic needs. He also gained valuable experience modifying instructional material in order to meet each students’ unique academic needs. Hector firmly believes that every student has the ability to learn and be successful. That is why he decided to continue his education to obtain a Mild to Moderate Special Education credential and eventually a Master’s degree in Bilingual Education. When he is not in the classroom working with students, Hector enjoys spending quality time with his family, reading and traveling. Erin has been teaching for over 20 years. 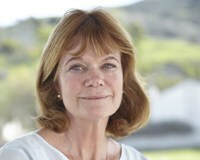 She began teaching in Monterey. She started out as a substitute teacher, which is where she got her first exposure to Special Education. Those experiences sparked the interest to pursue a credential in Special Education. She moved to Santa Barbara and began getting more experience in special education working as a substitute teacher in all grade levels. 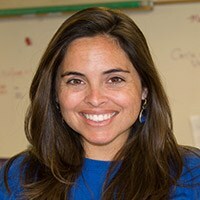 She worked at Santa Barbara Junior High for several years as an ELL teacher, Special Education teacher, and the Opportunity teacher - working with teens at risk. 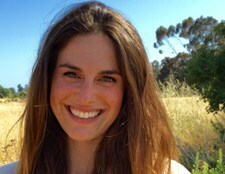 She moved to Ojai nearly 10 years ago and began teaching at Matilija Junior High. There, she taught Pre- Algebra and Algebra. She also taught in the Resource classroom there. She has been at Ventura Charter School for nearly 5 years, where she teaches in The Learning Center. Erin loves teaching at VCS - "There's no other place I'd rather be!" Amelia loves teaching and working with children. From a young age she was inspired by her mother, aunt and grandmothers who are all passionate educators. After volunteering in a special education class, she knew that she had found what she was personally passionate about. She received her B.A. and Education Specialist teaching credential from CSU Channel Islands and has taught as a Learning Center and Special Day Class Teacher. Amelia believes in empowering students through teaching them according to their unique strengths and talents. She is thrilled to be a part of the Ventura Charter School team. Chris grew up in the small town of Three Rivers, CA and was surrounded by wonderful teachers who taught him the importance of education. In fifth grade he had the opportunity to experience one of the best teachers he could imagine. This teacher just happened to be his grandmother. Because of this source of inspiration, Chris has always seen the value in working to guide young people toward fulfilling their potential. After high school, Chris went to Westmont College in Santa Barbara, CA and graduated with a degree in Cross-Cultural Sociology. He then went on to work in the Santa Barbara community as a Residential Counselor and Street Outreach Worker at Noah's Anchorage youth crisis shelter. Chris then moved to Colorado where he continued his career in social work before deciding to follow his dream of becoming a teacher. After receiving a multi-subject teaching license, Chris took a job at Westridge Elementary in Littleton, Colorado, where he moved back and forth between teaching 5th and 6th grades. Chris is excited to be back in California and working as a part of the Ventura Charter community. He brings to the classroom his goal of connecting with each student on an individual level and is committed to relevant and meaningful subject matter, mutual respect, a diverse outlook on education, and a focus on social justice and social/environmental responsibility. 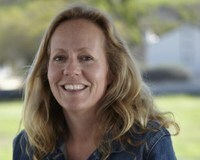 Karen Mercer has been teaching with Ventura Charter since its inception in 2006-2007. Karen has a Multiple Subject Teaching Credential from Antioch University and a Bachelors degree in History/Politics from UC Santa Cruz. Karen has been working with children for over 10 years as an outdoor and environmental educator, early literacy tutor, math teacher, and science specialist. Karen's years as an outdoor educator convinced her of the power of experiential constructivist learning. She brings those experiences to the profession of "indoor education" at Ventura Charter School. She is committed to making the Ventura Charter middle school a meaningful and exciting place to live and learn together as a community. 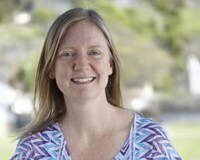 Susie Melican graduated from UCSB in 2004 with her multiple subject credential and Masters in Education. 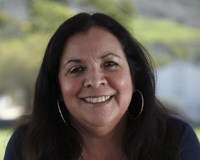 For nine years she worked as a second, third, and fourth grade teacher at Open Alternative School in Santa Barbara. Before stepping into the classroom she worked in a variety of outdoor education programs as a garden teacher, environmental educator, and wilderness trip leader. She shares her love for the outdoors with her students and strives to foster meaningful connections between students and the natural world. In the classroom Susie works to build a strong community of learners where all students feel supported in their academic, social, and emotional growth and celebrated for their unique gifts and talents. She shares her love for the arts with students, integrating visual and performing arts across the curriculum. 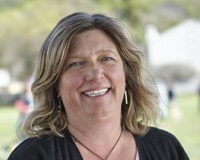 Susie is excited to work with students, parents, and Ventura Charter School staff to create a vibrant and positive learning environment for all students. 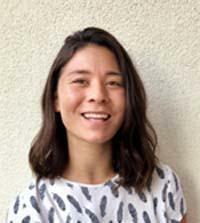 Ivy moved to Ventura from Boston where she studied International Business and Italian at Northeastern University. After volunteering in elementary schools in Ventura and Santa Barbara, Ivy fell in love with teaching, and decided to pursue a career in the classroom. She went on to earn her Master's in Education and Multiple Subject Certification from the University of California, Santa Barbara. While completing her teaching credential, Ivy was introduced to Ventura Charter School, and was fortunate enough to complete her student teaching there. 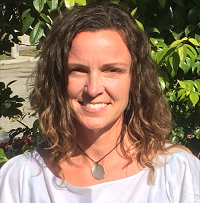 After graduating from UCSB, she knew that Ventura Charter was the place where she wanted develop as an educator, and was thrilled to become a part of their staff. Ivy strives to create learning environments that engage and welcome all students, and values connecting with each of her students as individuals. Outside of the classroom, Ivy can be found cooking, gardening, and spending time with her friends. Shelly has been with VCS since 2008. She received her BA in Psychology with an emphasis in Child Development from UCSB, and her Multiple Subject Teaching Credential from UCSB as well. She has completed additional graduate coursework on how to teach math at the secondary level. She has experience teaching all grade levels from K-8, with the majority of that time spent with middle schoolers. In her 25+ years in education, she has also worked with homeschool families and at-risk teens. Along with the daily joys of teaching young people across all subjects, Shelly has a passion for drama, service learning projects, and project-based learning. As an avid mathematician, Shelly especially enjoys teaching math, and strongly believes the whole-child tenet that addresses the need to attend to the emotional state of a math learner is essential for success, especially at the middle school level. Math anxiety and low self-esteem are the death knell for mastery, and Shelly strives to help students reimagine who they are as math learners. Shelly spends her free time with her husband Chris, and enjoys the beach, hikes, and fun outings. Her three grown children are now off on their own adventures. Seeing them go through high school has helped her shape the middle school program here at VCS so that it is insured that we are doing all we can to properly prepare our students for 9th grade. Christi Sandbach is thrilled to return to California and to Ventura Charter School after living in New Jersey for the last 3 years and teaching at Voyagers Community School, a private progressive k-12 school in Eatontown, NJ. Throughout her career, she has worked with children in a range of grade levels including kindergarten through 12thth grade. As a Ventura Charter School founding teacher, she was instrumental in developing the Middle School program.Christi received a B.A. in Cultural Anthropology in 1997 and a Masters in Education from the University of California, Santa Barbara in 2001. She currently holds a California K-8 Multiple Subject Credential as well as New Jersey teaching credentials for both Elementary K-6 and English K-12. As a progressive educator of 15 years, she is passionate about constructivist, project-based education that honors the whole-child. 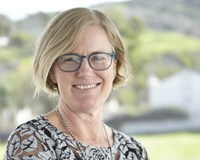 Christi is dedicated to creating a learning environment where curiosity guides the course of study, where community is strengthened through a sense of belonging, connection, and mutual respect, where teacher and student are partners in education, practicing the habits of life-long learning together. During her spare time, Christi enjoys spending time with her family, traveling, reading and being in the outdoors: running, hiking, camping, and going to the beach as often as she can. Rachel is thrilled to start her teaching career at Ventura Charter School. 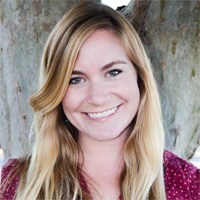 She first learned about the magic of VCS while teaching at Harmony Preschool in Santa Barbara. While receiving her Multiple Subject Teaching Credential and Master’s in Education from Antioch University, she was fortunate enough to complete her student teaching at VCS. She quickly learned of VCS’ constructivist, whole-child approach to education and it didn’t take long for her to feel right at home. Recognizing that every person has his/her own unique experiences to share, Rachel looks forward to nurturing the curiosities, interests, and autonomy of each student. 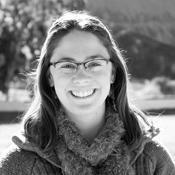 Rachel comes to the classroom with a background in art history, ceramics, and garden education. Terri holds a Masters in Education with an emphasis in Literacy and Social Justice from Antioch University, LA and has taught for seventeen years in constructivist classrooms. 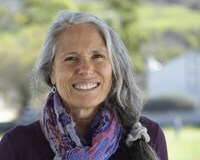 Terri has taught graduate courses in Language Arts Methodology at Antioch University and at the University of California Santa Barbara, has served as a Mentor Teacher, and has lead workshops for teachers in the areas of Writing Workshop, Guided Reading, Compassionate Communication, Community Building, and Reading Workshop. She is a voracious reader and is ecstatic about her position as a Reading Intervention Teacher. She is dedicated to helping children discover joy in the process of learning about themselves and the world through reading and writing. When not at school you can find Terri reading or playing outside with her playful daughter and fun-loving husband.